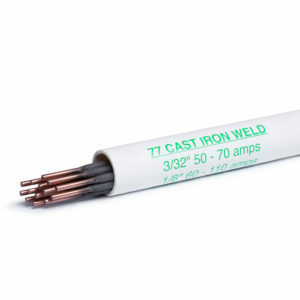 77 is a premium electrode that produces welds which are high strength, crack resistant, and porosity free when applied to a wide variety of cast irons. The special tri-metal core wire has a high current carrying capacity and the specially designed coating converts the impurities of the base metal into slag instead of being trapped in the deposit. The high deposition rate creates an extremely narrow heat affected zone– a feature suitable for all weldable cast irons requiring post weld machining. 77 cast iron welding rods are softer than nickel rods, and have unique properties that allow the cast iron welds to stretch and elongate up to 300 percent more than other rods, which helps prevent the base metal and weld from cracking in the process. 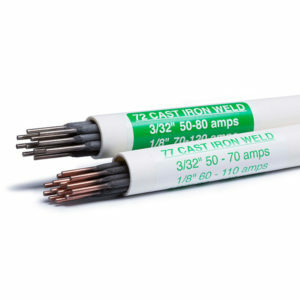 72 is a nickel-iron non-conductive electrode formulated to join dirty and contaminated cast irons. 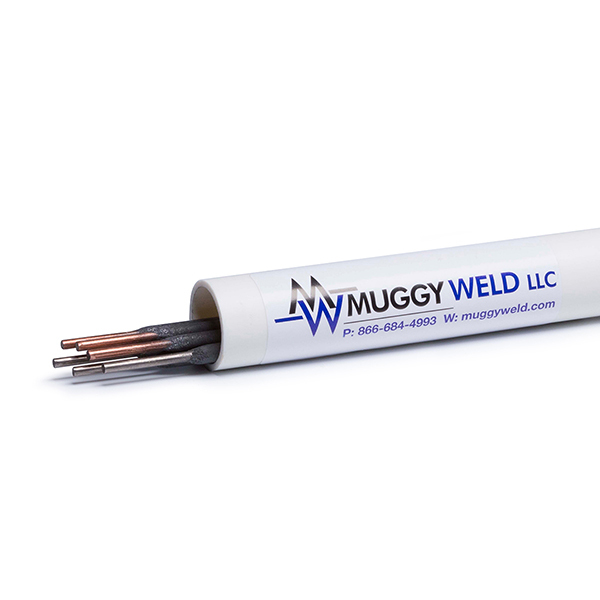 This universal electrode can be used to weld a wide variety of malleable, ductile, and nodular cast irons. In addition, it is ideally suited for the repair of defective or cracked malleable iron castings. There are occasions in industry where exceedingly dirty cast iron is encountered. 77, which bonds well to most cast iron does have a limitation. Since 77 has controlled penetration, which is ideal for non-cracking and machinability, it may not be able to bond exceptionally dirty cast iron. 72 should be used for this application. It has a high penetration, can anchor deep into the subsurface of dirty cast iron, and seals in porosity generating contaminates prior to finish welding with 77. 72 is used for a cladding operation, then the weld is completed with 77.